With the Oscar ceremony this upcoming weekend, the time to see all of the Oscar nominees is dwindling down. For me, there are many notable categories where I unfortunately came up short. With that said, I also had the opportunity to see majority of the nominees in the major categories, which allowed me to have a more invested take. What follows is a reassessment of my initial votes, which have since changed. This will not be a rehashing of every nominee, but an abbreviated version of the list with any additional thoughts listed. As stated, I missed out on some nominees during this particular year's line-up. The most notable is the Best Animated Short field, which has not been made available for public viewing on Video on Demand platforms as a whole at this time. While I have also seen two of the Best Documentary nominees, I have yet to see the front runner The Square. With that said, I am also planning on seeing Frozen and The Wind Rises in the upcoming days in order to see which of these I do consider to be better. Most likely, any additional reporting will be made in my subsequent entries following the ceremony. I am looking forward to the ceremony and it has been a fun time highlighting all of the nominees. This year does feature a lot of great surprises and hopefully the ceremony will as well. There's only wonder of what that all entails, but it wouldn't be a great year at the Oscars without them. The following is my official predictions on what should win and will win. Please feel free to share your thoughts in the comments section. Also, any additional reporting on each of the nominees will be linked where specified. Please note that my official voting will be selecting those under the "will win" sections. NOTES: I do believe that this is the only field that as of this reporting that 12 Years a Slave has locked down. It does help that its significance has already been initiated, which definitely helps its chances. The only question is that because of its lack of wins outside of this category, what are the chances that it will win here? Argo fared about the same last year with very few additional wins, but then again last year was one of the more evenly fought matches in Oscar history in every category. 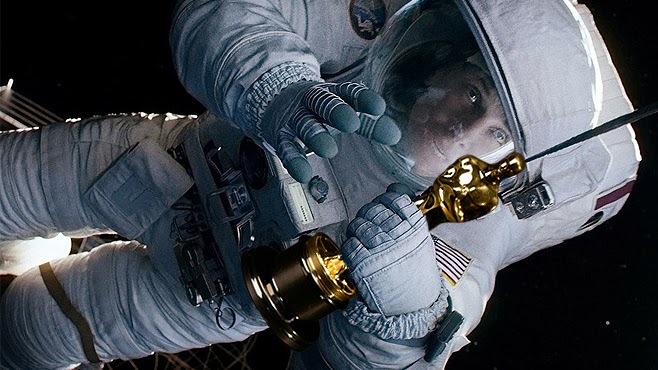 NOTES: It is humbling to note that of the front runners in the field (Steve McQueen - Gravity being the other), either one is going to make Oscar history. With Gravity, Alfonso Cuaron will become the first Mexican director to win this category. It isn't just a gimmick. He deserves to win, if just for the first two shots of his film, which is some of the most spellbinding, creative, innovative work put to the screen in quite some time. NOTES: For those complaining that Leonardo DiCaprio (The Wolf of Wall Street) having not won in so long, consider Bruce Dern for a moment. He hasn't won and was last nominated in 1978 for Coming Home. The actor deserves it far more for a performance that is personally my favorite in the batch. He brings a sincere oddity to the elderly, loopy character and always feels sincere. However, the Matthew McConaughey train isn't too embarrassing to hop on as Dallas Buyers Club was a surprisingly effective film and the performance was spectacular. He definitely has deserved his place as the front runner here. NOTES: Even with the looming fear of an American Hustle disruption at the ceremony, it does feel like Cate Blanchett has had this locked down for most of last year. Having won every major award prior to this, she is a crowd favorite and is likely to keep the streak going. NOTES: While I agree with Matthew McConaughey's reign in the Best Actor race, I don't quite get the Jared Leto love here. Conceptually, he was an interesting character, but otherwise his performance wasn't as striking or memorable. Michael Fassbender's nomination on the other hand was downright menacing and left an impression that helped to make 12 Years a Slave the haunting masterpiece that it is. NOTES: Tough call, as Jennifer Lawrence (American Hustle) has been on the rise and is threatening to overpower this category, thus giving her a back-to-back win. The only conflict is that Lupita Nyong'o has been dominant in the other awards ceremonies up to this point and that gives her somewhat of an edge. The only question is by how much. NOTES: This is a tough category to call, specifically as American Hustle and Blue Jasmine are nominees in films by two directors who have fared well in this category before. Spike Jonze's Her is relatively rookie by comparison, as he has never won in this category before. However, Her could win on sheer inventiveness and finding a relevant and authentic way to discuss love in the modern era. NOTES: It is a tough year to pick just one nominee in these categories. My initial vote for Before Midnight remains my favorite of these, but the more that The Wolf of Wall Street has sunk into Oscar discussion, the more that I realize the strength of the script. It is rapid fire and makes three hours fly by. However, with the prestige that is building around 12 Years a Slave and it feeling like the most significant picture among these, it will probably win the category despite being a more visually pleasing film than on a script level. NOTES: By the time of the ceremony, I will have hopefully seen both. As of this write-up, I have seen neither. Either way, I do believe that Frozen has the edge for being the last film to open to a wider audience and has earned a place as one of the most acclaimed animated films in an otherwise abysmal year. The Wind Rises is a film that is more critically acclaimed than Frozen and sounds more deserving, if just for being Hayao Miyazaki's last feature length film. I do think that its competition of The Croods and Despicable Me 2 are only reflections on how much this year was ueventful. NOTES: Again, this comes down to a matter of what I have seen. I have seen The Broken Circle Breakdown, which is an emotionally wrenching tale of heartbreak with catchy country songs. I haven't seen The Great Beauty as of this publication, though the acclaim it has received for being visually and metaphorically deep has me excited about it. With The Great Beauty also being a favorite at other awards ceremonies, it does seem most likely that it will win this field. NOTES: Having just seen The Act of Killing this week, I was amazed by the story and its ability to cover concepts dealing political, psychological, and even cinematic. It is profoundly memorable and is something unlike many of the other nominees, including the lackluster Cutie and the Boxer, which is the only other one that I have seen. NOTES: Baz Luhrmann films always do well in the design categories and with The Great Gatsby, he turns the story into a lush, beautiful production worthy of this award. The only issue for me is how similar it feels to American Hustle, which has a more scaled back look. However, if the Academy is to vote for the most bombastic looking film of them all, The Great Gatsby is likely to be it. I love the film and wouldn't mind it walking away with something. However, extra points for them recognizing Her in this field, which is one of the most visually unique and creative films among the nominees. NOTES: This is largely because of who won this category last year. Consider that the technically-dense Life of Pi won this field, it would only be indicative that a film that challenges visual imagery as much as Gravity would be a shoe-in for this win. On the flip side, I do love Nebraska's simplistic look and ability to make every frame look like a Dorothea Lange photo come to life. It isn't enough to help it win, but it does help to add beauty to the imagery. NOTES: Another field where Baz Luhrmann triumphs. I do hope that the similarities that the film shares to American Hustle will not eventually overthrow its chances in both of its nominated categories. As it stands, I adore everything about the visual aspect of The Great Gatsby and feel like even the alterations to the costuming allows for a visually stunning experience. It captures the atmosphere perfectly whereas American Hustle looks stylish but is more of a performance piece. This is provided that the Academy doesn't vote for the oldest in time frame and just give it to the drab by comparison 12 Years a Slave. NOTES: Having just received the DVD for the film, I have been busy watching the special features over the production of Gravity. While editing is referential to the shot, it is also about the editing within the shot. Gravity gets more impressive the more that you learn about the production and its editing is a large reason for it. As I predicted previously, I do feel like Gravity will be this year's biggest winner because of the technical fields. NOTES: This is by far the worst category at this year's ceremony. All of the nominees are terrible selections and I cannot really find much positive to say about any of the three. I guess it comes down to which film is the most prestigious, and I would have to give the edge to Dallas Buyers Club, which does a good job of making the characters look sickly as they get further into their AIDS crisis. NOTES: I have tried to listen to the Gravity score out of context, but it just feels like loud, booming music that doesn't work. Contextually, it does compliment the film rather well, but it is by no means the most memorable of these five. I do want Her to win because despite being a little grating at points, its creative use of instrumentation follows suit with past winners including The Social Network. Is it too weird, though? That is what I feel will keep it from winning. NOTES: I am so glad that "Alone Yet Not Alone" (Alone Yet Not Alone) got disqualified because it was a baffling nomination. However, I do find it hard for me to really back Frozen, as it continues to feel a little cornball and obvious. In terms of overall enjoyment, "Happy" continues to be an optimistic jam and one that overshadows most of the other nominees. At very least, it has received a lot of great creative marketing use and in an era where Pharrell Williams has been culturally relevant, this would be a great way to commemorate that. NOTES: Yes, I notice that Gravity is about the absence of sound, but consider that its use of sound is sparing and interestingly placed, it definitely makes a persuasive point. Also, it is going to win most of if not all of the technical fields. NOTES: Need I say more? NOTES: It is a technically impressive film and the more that you understand what went into making this universe look and act the way that it does, the more that you'll understand why it is a shoe-in throughout all of these technical categories. NOTES: I didn't see any of these and am simply going off of Gold Derby's predictions. NOTES: This wasn't my favorite year for this category, but I do feel if the Academy goes by the liveliest and most creative, it will go with The Voorman Problem. It was fun and spontaneous, but overall not satisfying. Just Before Losing Everything is the most rewarding of the nominees, but is also a little slow and drags at points. What are your selections? Feel free to share in the comments. Do you think this whole Woody Allen - Dylan Farrow -case has affected Cate Blanchett's chances to win? I do not think it will affect Blanchett, but it will lose the screenplay category. I do feel like because it was more directly involved with Allen, the writing is going to be more affected and his loss will be seen as punishment. He is likely to bounce back eventually, as evident by his win for Midnight in Paris a few years back. As for Blanchett, she has been the front runner since Blue Jasmine's debut. She has had great speeches along the way, which gives her the edge. Also, I feel it would be too far fetched to attack Blanchett for a move that wasn't hers. After all, Allen's films continued to win the acting categories even during the last affair.